The locally assembled Ninja ZX10RR will now cost Rs 16.98 lakhs as against an earlier price tag of INR 16.10. 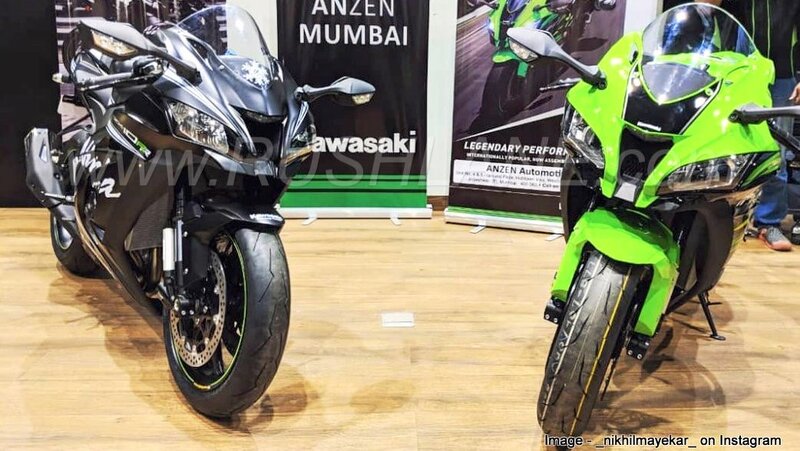 Buyers planning to purchase the made in India 2018 Kawasaki Ninja ZX10RR will now have to shell out Rs 88,000 more as the company hikes prices with immediate effect. 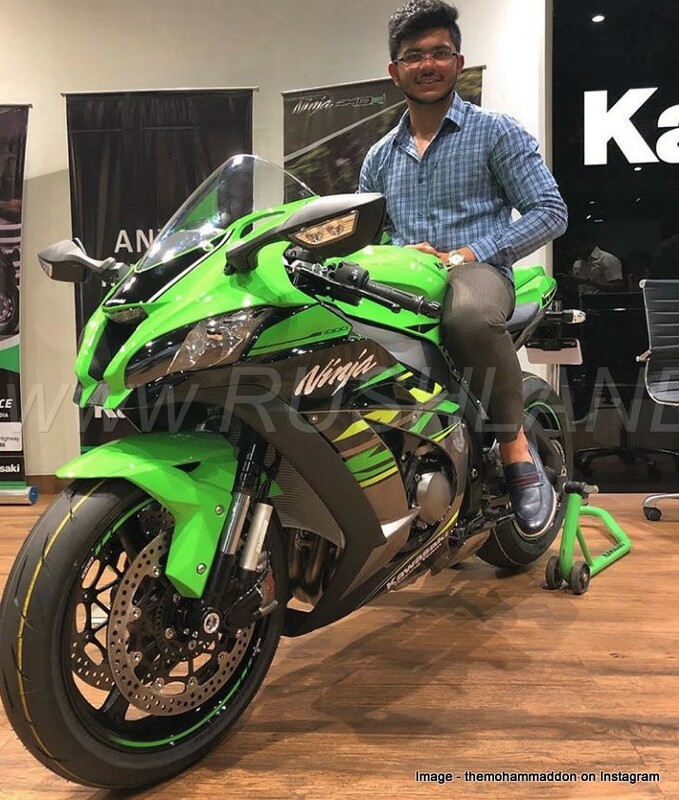 New Kawasaki Ninja ZX10RR was introduced in India earlier this year and offered at an introductory price of Rs 16.10 lakhs which was valid till end of July 2018. The price hike is now effective and the bike carries a new price tag of Rs 16.98 lakhs. This locally assembled Ninja ZX10RR is a track focused version of the 2018 Kawasaki ZX10R. It gets race inspired features among which are Pirelli Diablo Supercorsa SP tyres, forged aluminum wheels, Brembo M50 brake calipers and a modified cylinder head with reinforced crankcases. Ninja ZX10RR gets power from a 998cc engine offering 197.2 hp power at 13,000 rpm and 113.5 Nm torque at 11,500 rpm mated to a 6 speed gearbox with a quick shifter. RAM Air augments power output by 10 hp. Earlier this year, the Japanese automaker announced CKD operations for both the Ninja ZX10R and ZX10RR. This makes the ZX10R the most affordable liter class superbike currently on sale in India at Rs 12.8 lakhs – while the company has not announced any price hike on the same. Assembly operations are conducted from the Kawasaki India facility in Chakan near Pune from where the company also assembles the Z900, Ninja 650 and Z650 and Ninja 300. Despite the price hike, Kawasaki Ninja offers good value for money. It is lowest in price as compared to its competitors – Suzuki GSX-R1000, BMW S 1000 RR and Ducati Panigale V4 which carry price tags of Rs 19.86 lakhs, Rs 17.90 lakhs and Rs 20.53 lakhs respectively. Other competitors also include the Aprilia RSV4-RF at Rs 24.99 lakhs and Honda CBR1000RR SP edition at Rs 21.22 lakhs along with the Yamaha YZF-R1 at Rs 18.16 lakhs. Earlier this week, Kawasaki updated the Ninja ZX10R, ZX10RR variants globally to MY 2019. 2019 ZX10R and ZX10RR will launch in India in the coming weeks.